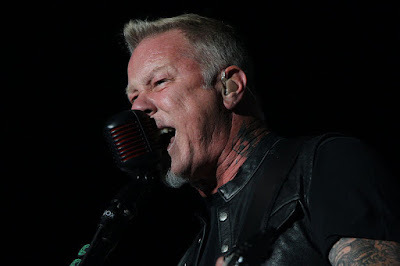 Metallica performed their 1991 classic, “Wherever I May Roam”, at Sports Authority Field at Mile High in Denver, CO on June 7, and the band are sharing professional footage from the event. The track was the fourth single off the group’s self-titled record - commonly known as the “Black” album for its cover - the band’s first to top the US charts on its way to sales of 16 million in the States and more than 30 million worldwide. The Denver date is part of Metallica’s current North American tour in support of 2016’s “Hardwired…To Self-Destruct”, which was launched in Baltimore, MD on May 10. The trek will hit San Antonio, TX (June 14), Arlington, TX (June 16) and Chicago (June 18) this week. The stadium shows wrap up in Edmonton, AB on August 16 before the group heads to Europe for a fall arena tour. “Immediately following our run of shows opening the new Royal Arena in Copenhagen last month we promised we would be back to Europe this year... and we will! !,” said Metallica in March. “The WorldWired tour hits European arenas starting in September and doesn’t stop until May of 2018! Kicking off on September 4th in Amsterdam (following the rescheduled Copenhagen show on September 2nd) we’ll be covering all corners of the continent from Lisbon to Helsinki, Oslo to Budapest and beyond.